Learn about the Group Membership option. Completing the online form is the fastest and easiest way to renew your SoACE membership. You will have the opportunity to pay immediately with a credit card, or the ability to request an electronic invoice (which may also be paid with credit card). SoACE accepts Visa, MasterCard and American Express. Need to update your member representatives, or not sure who you currently have listed as SoACE members? Contact the SoACE Office via email or phone (1-855-946-1013). To replace member representatives, we will need the new member to fill out the Membership Application and the name of the individual they are replacing. Educational Institution Members are defined as individuals who serve as official representatives of an educational institution (post-secondary institution granting Associates or Bachelor’s degrees at a minimum) and provide career services, career development or professional development for students. Employer Members are defined as individuals who recruit, screen, hire, and train college students or graduates for their organization. This does not include organizations that function as third party recruiters, provide human resource staffing functions, or provide a product or service to career services. Affiliate membership may be granted to organizations that provide a service or product to a Regular Educational Institution or Employer Member. 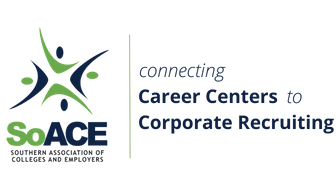 The mission and purpose of these organizations must be complementary and supportive of the mission and purpose of SoACE, as determined by a committee led by the Director, Member Services. Affiliate membership applies to organizations including, but not limited to, the following: (a) staffing or employment agencies, (b) publishers of career education materials, (c) organizations that provide supporting software that directly relates to the operational functions of college recruitment or college/university career services, (d) advertising firms, (e) media organizations, (f) consultants in college recruiting for an educational institution/ employer member, (g) college/university faculty, and (h) supervising managers for educational institution/employer members. These members are entitled to all the rights of full membership except for the ability to vote or hold office. Applicable for Regular or Affiliate Member Categories. Memberships may be paid as part of a group membership, which allows individuals from one organization or company to “group” their membership registration under the parent organization or company, at a flat rate, and receive one invoice for the entire office or department. For each Group Membership, one individual will be identified as the primary member/contact. Group membership eligibility will be verified by SoACE at the time of the group’s application. The Group Membership Application is not available online for first-time applicants. If your organization is interested in moving to the Group Membership option, please fill out the Group Membership Application PDF and email it to the SoACE Office. Group membership eligibility will be verified by SoACE at the time of the group's request.